Featuring: Radikal Guru (Poland), Ras Stone, P Vans, Dirty Red and Crazyeye. A huge night for bass music and culture in the Capital! 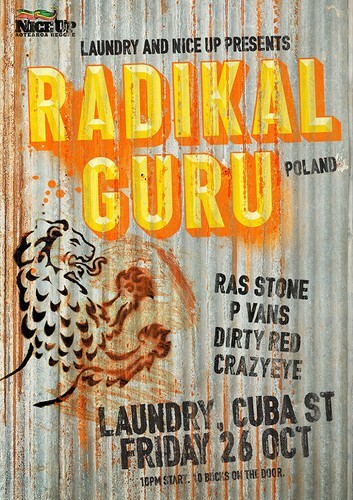 One of the brightest lights of the roots-influenced underground community for the past half-decade, Poland-born Radikal Guru has pioneered a unique blend of dub, reggae and dubstep. Inspired by a love of sound system culture, his music has become synonymous with dread bass weight. Heavily influenced by the likes of King Tubby and Scientist, he first gained worldwide recognition through a string of killer vinyl releases on leading reggae dubstep imprint Dubbed Out Records. Then forming a creative partnership with Moonshine Recordings, where he has cemented his reputation as one of the strongest proponents of the scene. 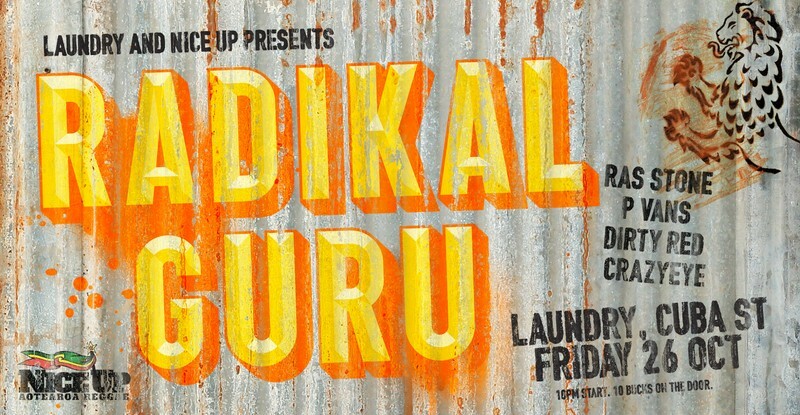 Radikal Guru conveys his passion for music through DJ sets that pay homage to the sound and culture’s rich history as well as showcasing the freshest cuts of sonic innovation. Bass-fuelled beats and positive vibes. Discography highlights include his debut LP ‘The Rootstepa’ and the mighty ‘Dread Commandments’ 12”, and his second LP ‘Subconscious” that includes dancefloor killers like Stay Calm feat. YT or Warning ft. Echo Ranks.